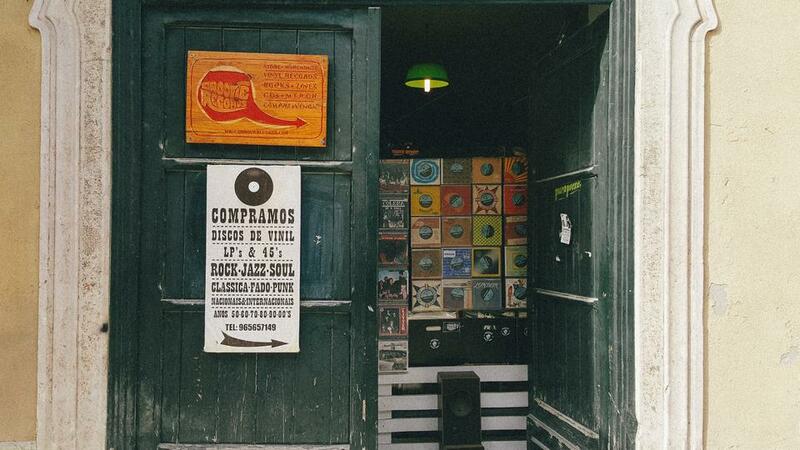 Why not hunt for precious vinyl in Lisbon? 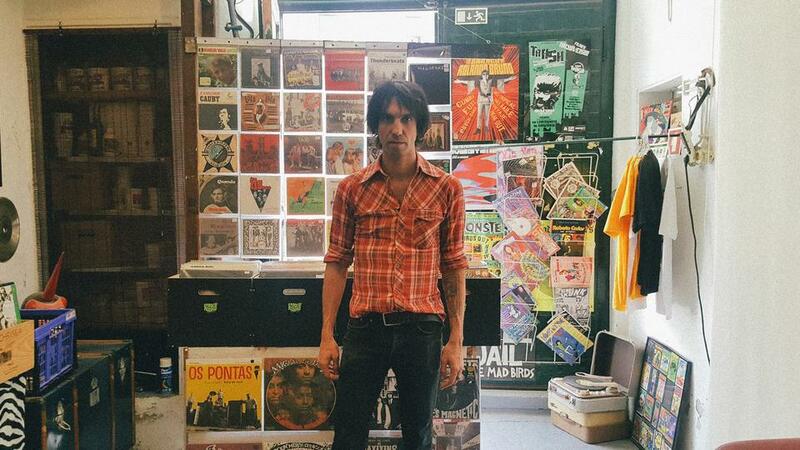 A Boy Named Sue is our guide to crate-digging in Portugal’s beautiful capital. It was only natural, then, to ask him for some precious tips on where to do some crate-digging in Lisbon. Portugal’s capital has a lot of places where you can go, but having a guide can really help you save time and money. Here’s what A Boy Named Sue recommends. You have the famous Feira da Ladra, but, except for one or two people, no one seems to find good deals there. The prices are too inflated for the tourists. You have 2 € records being sold at 10 €. Unless you go digging at 5 or 6 AM, of course – then you can catch the best deals before they’re gone. I think it’s more likely you’ll find good records at a random antiques fair than at a more well-known one like Feira da Ladra. There’s one, Fair in the Avenue, on Avenida da Liberdade, where I’ve found interesting things at a great price — I think it’s on during the weekends. There’s room for you to negotiate at fairs, and sometimes you find items that the vendor doesn’t quite know how much they’re worth. Vinil Experience is an old man’s record shop. He’s called J. Cunha and he’s a fanatic fan of psychedelia and prog. A good thing about that: when a record comes out that no one in Portugal has even heard about, he’ll have three or four copies, just because he really believes in it. He also has really rare items at around 100 or 50 € — originals from the 1960s. The store has hard, garage and classic rock from the 1960s and 1970s, as well as more recent things, like folk. He also knows a lot about music. I like to dig in these places because, if you have the time, the owner will say “listen to this, listen to that” and show you new things. It’s a little more restricted, genre-wise, but you’ll find stuff there you won’t be able to find anywhere else. Discolecção also belongs to a crazy old man. He really knows a lot about music and this is one of the oldest record shops in Lisbon. I’ve found the weirdest things here, like records by Lounge Lizards (John Lurie’s band) and others that are really hard to come by. It’s a place where you can listen to the records on the store’s sound system or on a separate record player. From pop rock to alternative, including a lot of specific soul and jazz. The jazz has a pretty big experimental section and the soul isn’t just one shelf like in most record stores — here, there’s like ten of them. Twice is a mostly unknown store near Principe Real. I went there a few times, the owner has a lot of experimental music, concrete music — things you can’t find at other stores. Then you have the more normal blues, soul, easy-listening and world music. Twice also has some dance music, some avant-garde, and discount records. It’s a good place to listen to records or chat, a place where you feel comfortable hanging around. I usually say that I don’t need to go somewhere abroad to buy records. What I really like is to have the money and the time to spend an afternoon at one of these stores, and then you can end up finding incredible things. Groovie Records is now around thirteen years old. It’s one of the most comprehensive record stores. 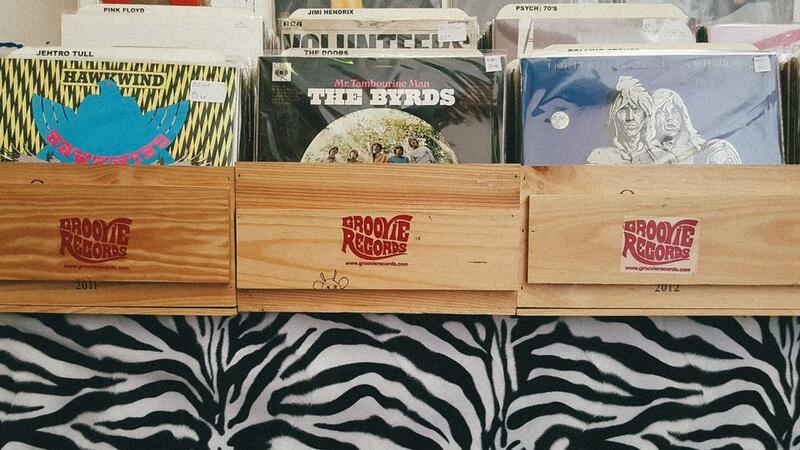 The owners are diggers and Groovie is also a record label. They have everything, garage, rock ‘n’ roll, a lot of Brazilian music (as the owner’s wife is Brazilian, he frequently goes there to buy batches of records) soul, psych. They have the 1 € crate where I sometimes dig, because, sure, the record might have a few scratches and not be worth 10.000 € like the pristine version on eBay, but the songs are still there and you can get to know them. And sometimes, you know nothing about a band and you just pick up a cheap best-of to get acquainted. It’s geared more towards rock ‘n’ roll, punk, the 1980s. But as easily as you’ll find a Sonic Youth record, you’ll also be able to discover Francis Bebey reissues and other quirky things from Africa, or even other gems, as they carry Turkish music, the emergent Asian psychedelia, and 1970s German stuff. They really have a lot of material, and you’ll be able to speak to someone that understands what you’re listening to and can explain and introduce new things to you. That’s why I think it’s one of the most comprehensive stores to lose yourself in.